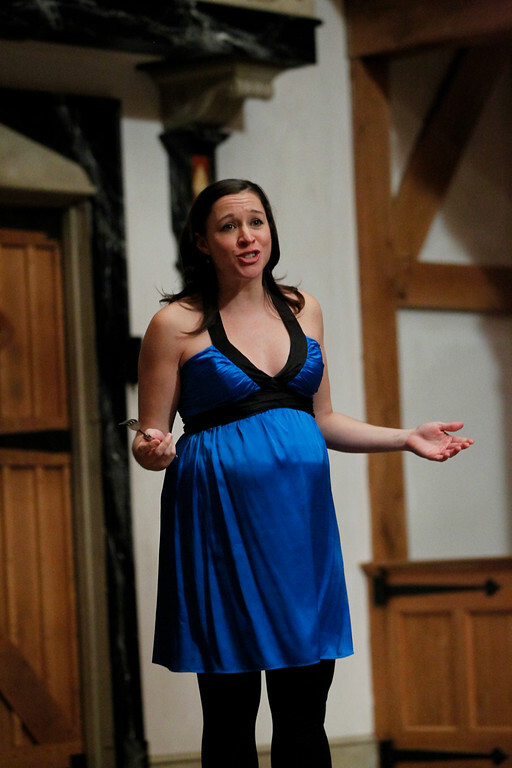 Miriam Donald in MUCH ADO ABOUT NOTHING. 2012. 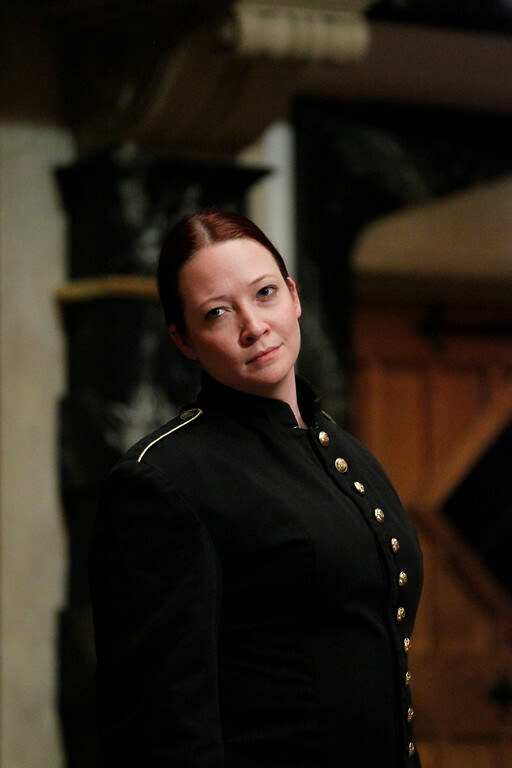 Sarah Fallon in MUCH ADO ABOUT NOTHING. 2012. 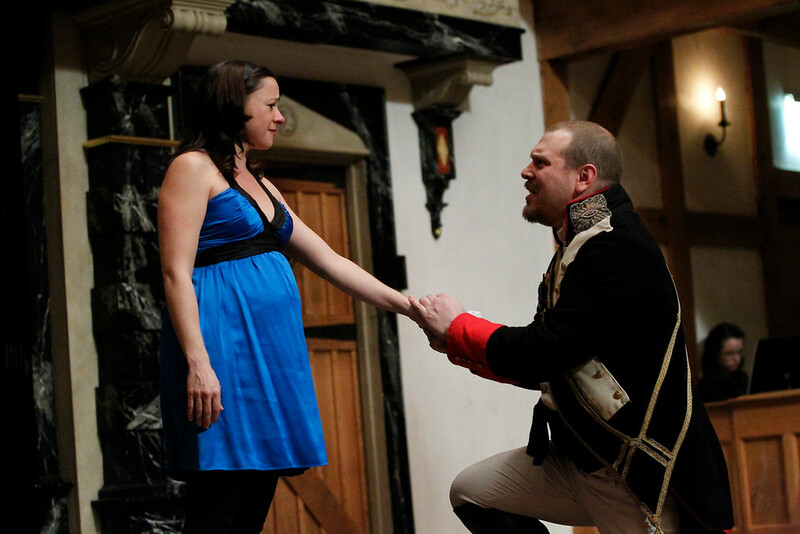 Allison Glenzer and Benjamin Curns in MUCH ADO ABOUT NOTHING. 2012. Daniel Kennedy and Sarah Fallon in MUCH ADO ABOUT NOTHING. 2012. 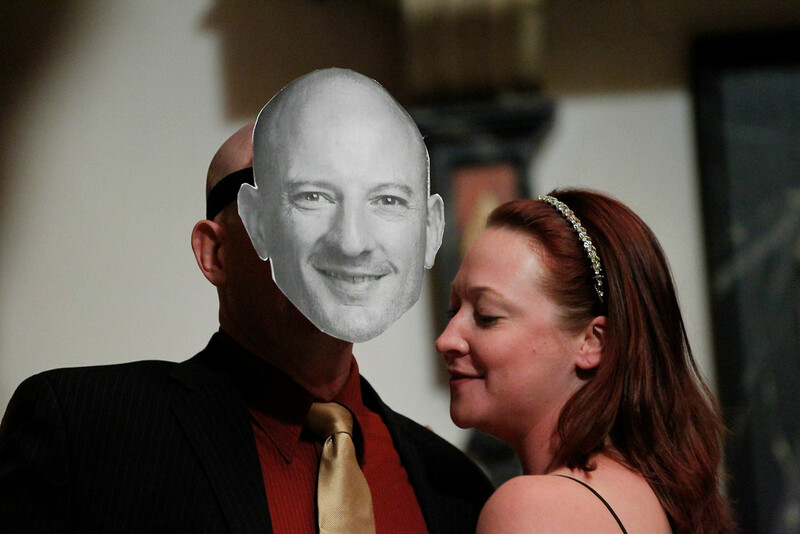 Daniel Kennedy in MUCH ADO ABOUT NOTHING. 2012. 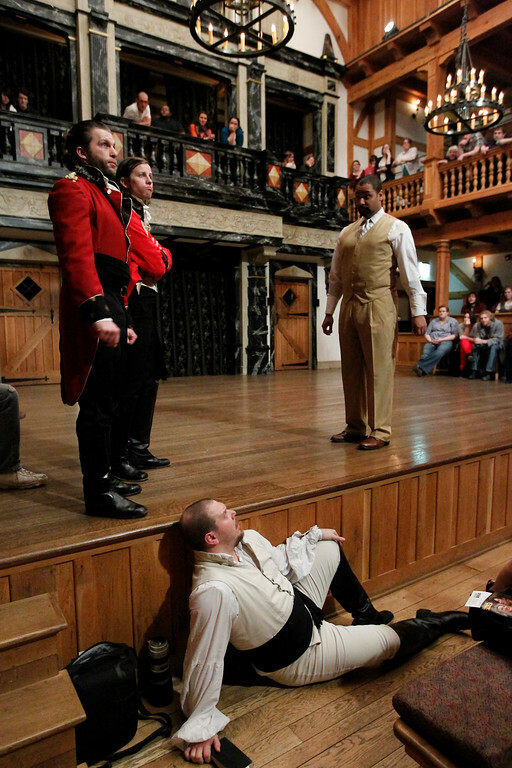 Gregory Jon Phelps, Chris Johnston, Benjamin Curns, and René Thornton, Jr., in MUCH ADO ABOUT NOTHING. 2012. 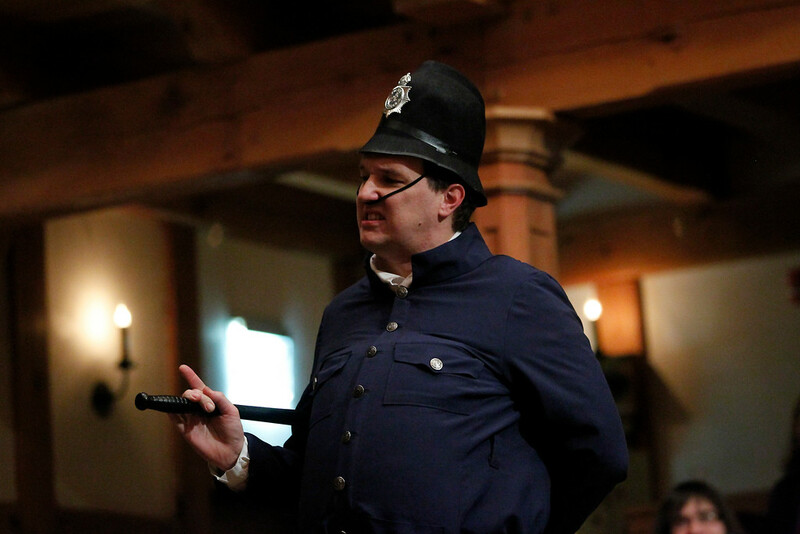 John Harrell in MUCH ADO ABOUT NOTHING. 2012. 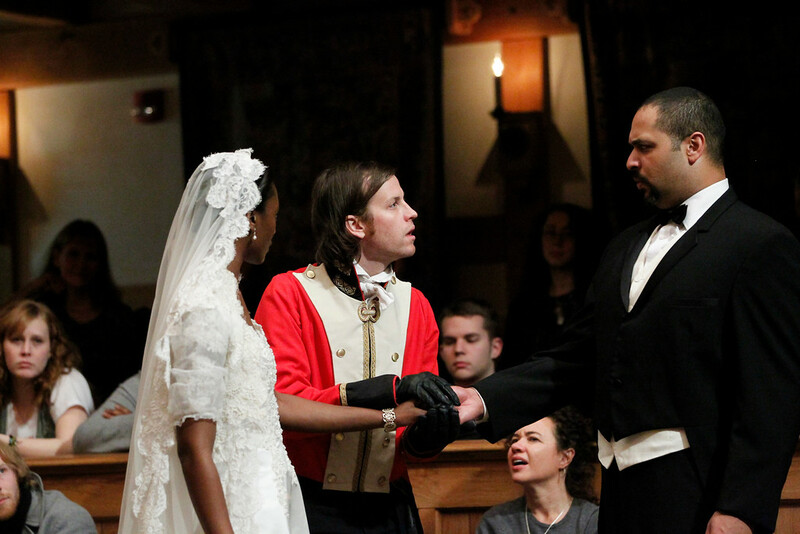 Brandi Rhome, Chris Johnston, and René Thornton, Jr. in MUCH ADO ABOUT NOTHING. 2012. Miriam Donald and Benjamin Curns in MUCH ADO ABOUT NOTHING. 2012. 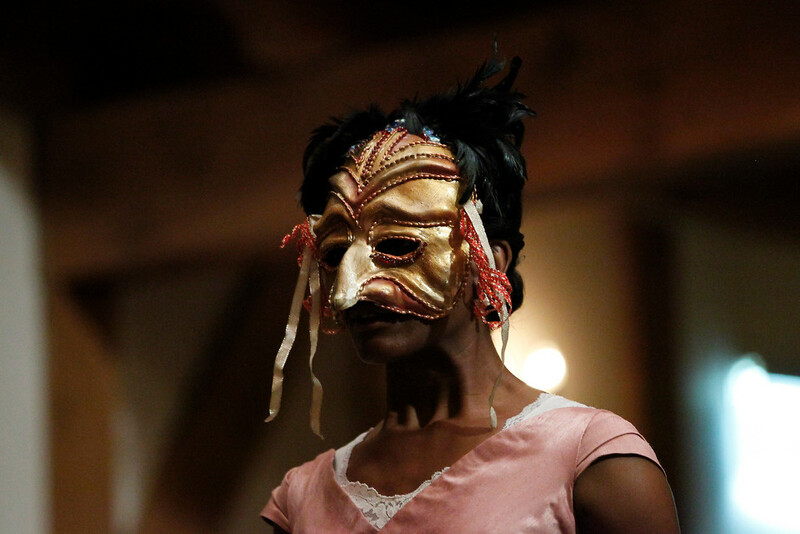 Brandi Rhome in MUCH ADO ABOUT NOTHING. 2012. A single edition of the play appeared in 1600; it was performed one or two years earlier. To start with, at the Theatre, James Burbage’s outdoor playhouse north of the city wall, but soon after that at the newly constructed Globe. 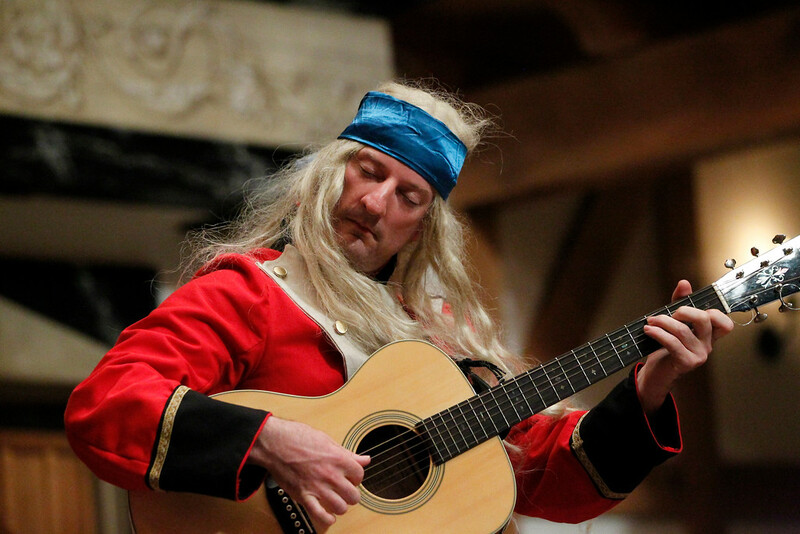 It comes roughly in the middle of his career, and scholars group it as a “mature comedy” with The Merchant of Venice (coming soon to a Blackfriars Playhouse near you), As You Like It, and Twelfth Night. In terms of gender relationships, the play seesm to be a reworking of Shakespeare’s theme (also see in The Two Gentlemen of Verona, Love’s Labour’s Lost, Julius Caesar) that guys who hang out together are generally idiots and largely undeserving of the women they claim to love. Owing in part to its language (see below) and in part to Beatrice’s views on marriage, men, and chauvinism, Much Ado About Nothing feels the most contemporary of any of Shakespeare’s plays. This aspect of the play may explain why Kenneth Branagh’s film was so successful. They admire it. though, oddly, they have less to say about it than they do about the comedies they group it with. This relative quiet may be a subconscious response to the play’s message that much of what we have to say is nonsense, a message neatly summed up in the play’s title. Beatrice and Benedick, one of the great couples in literature, are among Shakespeare’s wittiest creations, and Beatrice is among his wisest. People who love words cannot resist the two of them nor the play’s hilarious foil to witty language, Dogberry, whose words are very fantastical blanket. Act Two, scene three, called the “Gulling Scene,” in which Benedick’s posse tricks him into realizing he’s in love with Beatrice, is theatrical magic. The sudden descent into darkness of Act Four, scene one, has few parallels in comedy, and the duet at the end of the scene may be the stage’s most important exchange about romantic love. This play has more prose in it than all but one of Shakespeare’s plays (The Merry Wives of Windsor), and, rich and intricate as it is, that prose puts modern actors at ease and contributes to the sense that the play is so contemporary.